Based in the rolling hills of beautiful South Lanarkshire, Scotland, The Alchemist’s Forge is situated in an estate lodge cottage, nestled in woodland just off the A702, 7 miles south of Biggar. 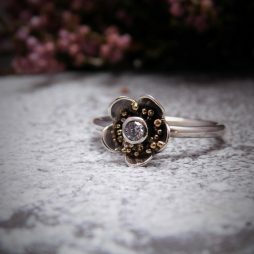 Inspired by the surrounding landscapes of the Scottish countryside, the animals that dwell in it and the ancient history of Scotland and her people, The Alchemist’s Forge creates unique hand crafted sterling silver jewellery with gold accents that are instantly recognisable. After studying Jewellery and Metalsmithing at Duncan & Jordanstone School of Art & Design, Dundee, Sam decided to leave silversmithing for a time to travel and research her passion of Scotland and its history. 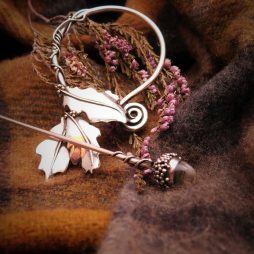 Using photographs she took and sketches she drew, Sam started to transform the organic forms found in the landscapes as well as the animals she came across into bespoke designs which could then be recreated into beautiful jewellery. Using traditional silversmithing techniques, these hand crafted pieces have led to a style that can not be mistaken.